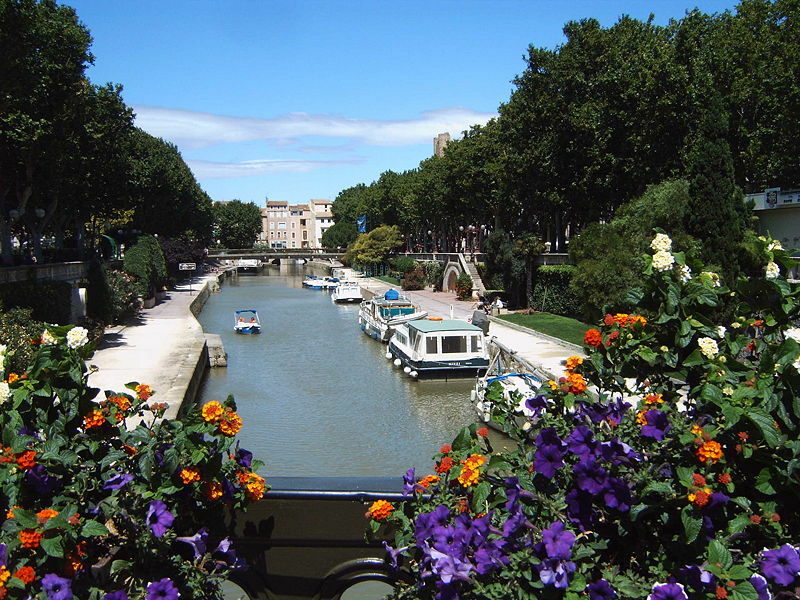 Narbonne first bloomed when the Romans made it the Capital of their first colony outside of Italy. It remained a vital port throughout the Middle Ages until the harbour silted up in the 14th century. Narbonne then fell out of prosperity until the 19th century, when the wine industry helped get the city back on its feet. One of the main attractions in Narbonne is the cathedral, which looms over the city with its gargantuan size. When the town was first drawing up the plans for the cathedral, it was actually planned to be even bigger! However if it had been built according to plan, it would have meant destroying parts of the city walls, so it's probably a good thing they decided on building a more modest version. There are sweeping views from the cathedral of the surrounding vineyards from the towers - although at 194 feet tall it is a little bit of effort to haul yourself to the top..! 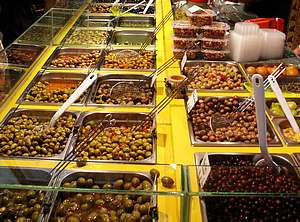 Narbonne is famous for its fantastic markets. There are markets for food, second-hand clothing, crafts, organic produce and flowers. The food markets on Thursday and Sunday morning are particularly popular: you will find more than 300 shops settled alongside both sides of the Robine Canal, on the Promenade des Barques and the Cours Mirabeau. Nearby, you will find the Baltard Pavillion, which celebrated its centenary in 2000. It houses the 'Halles Centrales' which is one of the best food halls in France. Food lovers will be ecstatic with the choice of incredibly fresh gourmet food from more than 70 shops. If you love a glass of wine, Narbonne is great base for exploring the nearby Minervois wine region. Vine were first introduced here by Roman legionaries. The wines in this region are mostly reds. They are a full-bodied wine and are good even when quite young. Narbonne also has a good beach. It is a large, spacious beach and very lively. In summer, it's large enough that you can escape the crowds and have your own space. There's also quite a lot for kids - with trampolines and swings and merry-go-rounds. 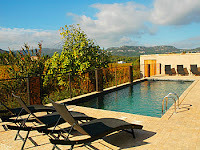 We have some delightful villas near Narbonne. AU023A Maison Henri and it's sister property Nadine AU022A Maison Nadine. 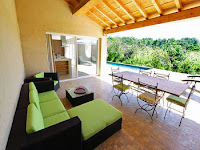 These properties are perfectly placed for exploring Narbonne and the surrounding area. If you have any enquiries or would like to make a booking, please don't hesitate to contact us.